It can be quite the task coming up with dinners to feed the family, or just yourself, when you’re trying to be healthy. It seems that fattening foods taste great, and healthy foods can taste bland and boring. But these dinner recipes really pack a punch in the flavor department. Each makes a great addition to your weekly menu, and with a wide assortment of meats and styles you’ll never be at a loss for something new. Here are healthy dinner recipes that are sure to please. When selecting the beef for these recipes make sure you go with a lean cut and a high quality, preferably organic. Some good choices are a top sirloin steak, and a top round roast. 1. 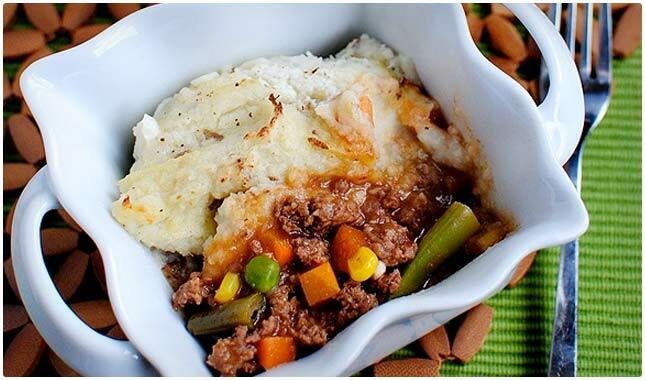 Shepherd’s Pie with Healthier Mashed Potatoes – Here’s a method to turn a British staple into a healthier version. Make sure that ground beef that you use is 90/10, and organic if you can find it, or all-natural if you can’t. They say the mashed potatoes are healthier than regularly prepared kind, and they pull this off by adding cauliflower to them. Sneaky but delicious! You’re getting meat, veggies and a carb for a well-balanced meal. 2. Paleo Curry Meatballs – The curry sauce on these gives them a unique flavor that’s unusual in the world of meatballs. These are dairy free for all of you Paleo enthusiasts, and they end up as a healthy option even for those that aren’t following the Paleo diet. If you’re looking for low-carbs you can make a meal out of them, and if not you can balance these out with some nice whole wheat pasta or a baked potato. 3. Kickin’ Konfetti Meatloaf – What’s nice about this recipe is that you can switch it up as needed in order for it to fit in to the type of foods you’re eating. You can serve it up plain if you’re watching your carbs, or serve it as shown with whole grain sourdough. They also give you instructions on how to make it gluten free. They’re using lean meats, but you can also leave out the pork if you want to cut down on the fat. 4. Easy Pepper Steak – Boneless beef sirloin steak is used to make sure that this is big on protein, but not on fat. They’re even using lite soy sauce to make sure it comes in low on calories. The addition of bell peppers makes this a winner, and serving it up on a bed of brown or basmati rice means you’ll round things out and have a complete meal. They say it’s easy, and it’s easy to see why, with simple, natural ingredients. 5. Korean-Style Beef Tacos – The marinating on this recipe means you’re going to get a good flavor in the beef, and the chile paste is going to give you a taste of how they eat things in Korea. Chile paste is used prevalently, and many of the dishes feature it. The corn tortillas make this good for those that are trying to avoid wheat. They say to use beef tenderloin, but the Mayo Clinic would suggest that you sub that out with sirloin tips or strips of round steak. 6. Beef and Broccoli Stir-Fry – The beef gives you a good dose of protein, and the broccoli makes it so you’re getting a superfood that also tastes good. Broccoli is really good at soaking up all of the flavoring and sauces, and makes a good pairing with the beef. It also has fiber to help with the transit time of the meal so the beef is not left sitting in your gut for too long. Served with a side of steam rice this is a complete and tasty meal. Chicken is a great meat to use for healthy cooking, especially if you’re trying to stay lean or build muscle. If you stick with chicken breast you’ll be getting a good quality protein without the fat or high amounts of calories. It’s a very versatile food with plenty of healthy recipes available. 7. 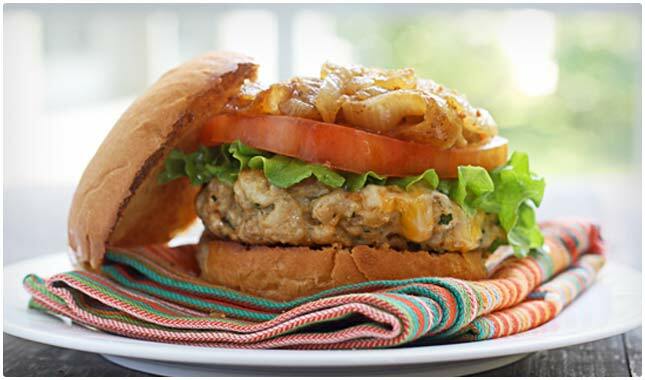 Fire Roasted Chile and Garlic Chicken Burgers – The easiest way to make a burger healthier is to sub out the beef with chicken in order to skip out on the saturated fat. This recipe adds tons of flavor with the roasted chiles, and piles on more with the garlic. Simply leave out the bacon to go easy on your waistline and you’re good to go. Use a multi-grain or whole wheat bun to make it a complete meal. 8. Whole Roasted Harissa Chicken – A whole chicken is great for feeding the family, and this recipe keeps things healthy by suggesting you use an organic chicken, and barring that a free range chicken. This is so you won’t get a chicken full of antibiotics, or one that was fed genetically modified grains. The addition of a Greek yogurt-based lemon sauce means that this chicken is going to taste great, and help you stay fit. 9. Chipotle-Glazed Roast Chicken with Sweet Potatoes – As pictured this is a complete meal, with protein from the chicken, the sweet potatoes making a good carb, and the broccoli providing all of its superfood qualities like fiber. The chipotle chiles give it a nice flavor without making it too spicy, and have been shown to boost your metabolism. It also uses some olive oil and honey so it will be very flavorful and good for you. 10. Black Beans and Rice with Chicken and Apples – The black beans in this give a good amount of fiber, plus some extra protein. The have you using brown rice instead of white rice, and the chicken is shredded, making it easier to chew up. Opt for a low-sodium chicken broth if you’re watching your sodium intake. This is a well-balanced meal that should keep you full for several hours, and it’s colorful, giving it a great presentation. 11. Stovetop Broccoli and Cheddar Stuffed Chicken – Stuffed chicken breast looks great on a plate, and is fun to eat because it’s like opening a gift. The filling on this is broccoli and cheddar, which is a crowd pleaser. A quarter cup of cheese is not enough to make this a guilty meal, and with the chicken breast and broccoli serving as healthy foods, you simply need to add a carbohydrate to round out this meal. 12. Baked Chicken Nuggets – Here’s one the kiddies are bound to love, and you don’t have to feel guilty about giving it to them. Baking cuts down on all the fat and calories of frying, and the chicken will give them some protein. You can serve them up with some organic ketchup for dipping. Also consider baking some homemade french fries along with them and you’ve got a protein and carb without the need for fast food. 13. Basil Peach Chicken – Basil is good for you, peaches are good for you, and chicken is good for you. 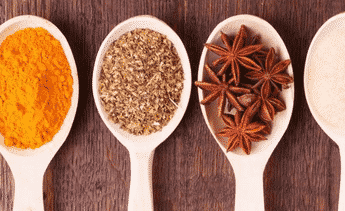 Combine them all together and you end up with a nice spice, a sweet flavor, and a hearty piece of chicken that you just need to add a veggie to for a dinner that will have all of the essentials covered. Ginger and basil are also added for additional flavor. 14. Garlic Lemon Chicken Kabobs – Fire up the grill and get ready for some tasty kabobs that only use a few simple ingredients. The cilantro adds flavor and It’s easy enough to make this a complete meal by adding a skewer of veggies, and perhaps roasting corn on the cob right on the grill. That will give you a nice protein, carb, and vegetable mix without the need to use the stove. 15. Lemon Pepper Chicken Tenders – Lemon and pepper just go great together, and this is a good meal to feed the teenage crowd without worrying about them because they’re not fried, they’re baked. They also include a recipe for homemade honey mustard so you can have some quality control of what’s going into the dipping sauce. If you’re serving it to a younger crowd, just ease back on the pepper. 16. Healthy Chicken and Waffles – Here’s a diner favorite that has been transformed into something that can fit into your diet program. The waffles are made with whole wheat flour, and also contain flax seed for omega-3 and fiber. The chicken is made using egg whites, and also includes some flax seed. The end result is a healthy modification that still has a lot of flavor to it. Use a light syrup to keep your calories in check. See more healthy chicken recipes. Slow cooker meals are great because you don’t have to babysit them, but also because they cook food without adding any extra fat from deep frying or pan frying foods. 17. 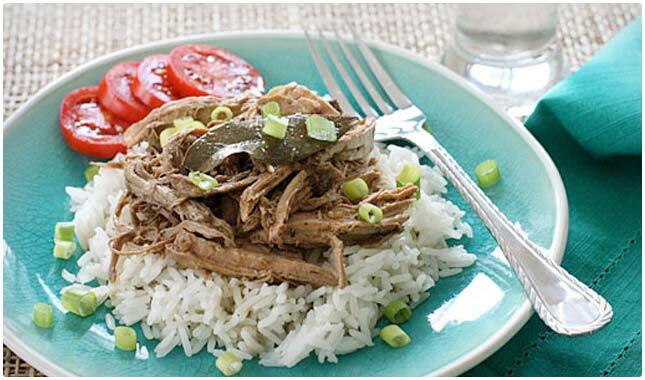 Slow Cooker Filipino Adobo Pulled Pork – They’re using lean pork for this recipe, and cooking it adobo style so the flavor is going to be infused into the meat. They have it served over a bed of rice, which helps to balance out this meal. Serve it up with a side of Filipino-inspired veggies to keep the theme going, and to make this a complete meal for your family, or that special someone. 18. Crock Pot Chicken Taco Chili – No taco shells needed to enjoy this chili. It uses chicken instead of beef so you’re getting all of the flavor you’d want, but without worrying about added fat from ground beef. The beans are there, as you’d expect, but you may want to add some bell peppers to get some more veggies included. The corn and beans are your carb source. Overall a hearty meal you can eat with a fork. 19. Slow Cooker Squash Lasagna – Lasagna from a crock pot? This recipe uses just enough mozzarella to make it taste the way it should, but without ruining the healthiness of the dish. You don’t have to cook the noodles before they go in, so this is not only delicious, but easy as well. They say adding spinach is optional, but that would simply make it more healthy and beneficial for you. 20. Thai One On – Here’s a Thai-inspired dish that only uses 5, count ‘em 5, ingredients. Mary has coined the term “chop n’ dump” which means you’re looking at about 5 minutes or less of prep time. This is a great dish to toss together in the morning before heading to work and have it ready when you come home. They give it an eight hour cooking time on a low setting. Being easy makes it more delicious. 21. Crock Pot Bison Chili Recipe – If you’re not familiar with how to cook bison, this recipe will walk you through it. Since it’s a chili there’s a lot of wiggle room, so you won’t have to worry about getting it just right. Bison is a lean meat, and a quality protein for those that are strength training or weight-lifting. The black beans and vegetables in this hearty chili make it a full meal without all of the hassle. See more healthy crock-pot recipes. Fish is typically thought of as a healthy alternative to red meat, and it shakes up the chicken rut. These dinner recipes will show you how to make fish taste great. 22. 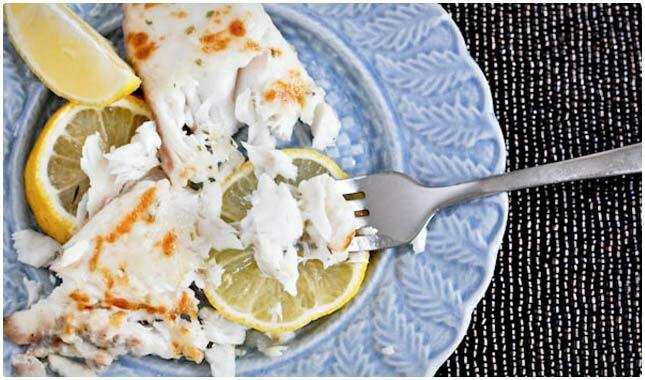 Easy Parmesan Baked Tilapia – Not only is this easy, but she also manages to use ingredients that taste good, but in quantities that won’t put you over the top on your daily allowances of fat and calories. She admits that it does use butter and cheese, but not a lot, so the taste of the fish is not lost. The end result is a tasty fish dish that can be paired with a veggie side of your choice. 23. Wasabi Salmon with Spicy Swiss Chard – If the swiss chard doesn’t take you out of your cooking comfort zone, perhaps the shiitake mushrooms will. This is a nice dish because they’ve got spiciness from the wasabi, sweetness from the salmon, bitterness from the swiss chard. Use a low-sodium soy sauce to keep sodium levels low. Paleo dieters can eat this as shown, but if you are looking to round this out you can serve it on a pillow of brown rice to cover all your bases. 24. Seared Salmon Tacos with Honey-Lime Slaw – If you’ve never tried fish tacos before, this would be a good place to start, because it uses a fish that most people can agree on: salmon. By serving it with a side of the honey-lime slaw you’re getting a good amount of cabbage and its fiber and other health benefits. The avocados give a nice serving of healthy monounsaturated fat that helps to lose fat. 25. Tandoori Salmon – This dish infuses some Indian flavor into the salmon so you’re getting a taste that your taste buds might not be used to. What’s nice is that the recipe will leave you with a supply of tandoori spice that you can try adding to other foods later on. This is a recipe that will appeal to many different dieters, and is also gluten-free. As shown it’s a complete meal, with a side of veggies and served on a bed of rice. 26. Spicy Blackened Tilapia – A big problem with diet food is that it tastes like diet food. This is one dish that will give you plenty of spice and seasonings without making you crash off your healthy eating plan. Tilapia can be a delicate fish to work with, but this recipe has you give it a crispy seared outside. The fish will give you a good amount of protein, and their suggestion of vegetables and noodles on the side is a good one. 27. Spaghetti with Spicy Tuna Marinara Sauce– Spicy is always a good way to go when you’re looking to cut down on calories and fat, but not sacrifice taste. With this you’re getting a quality protein with the tuna, and fresh red chilies bring the heat. Since it includes pasta you’re covered on carbs, but consider adding a vegetable dish with it, or adding more vegetables to the recipe for added nutrition. Burgers have a reputation for being unhealthy, most because fast food burgers are full of saturated fat, and restaurant burgers use toppings like thick bacon strips and blue cheese. These burgers make it OK to have this classic meal. 28. 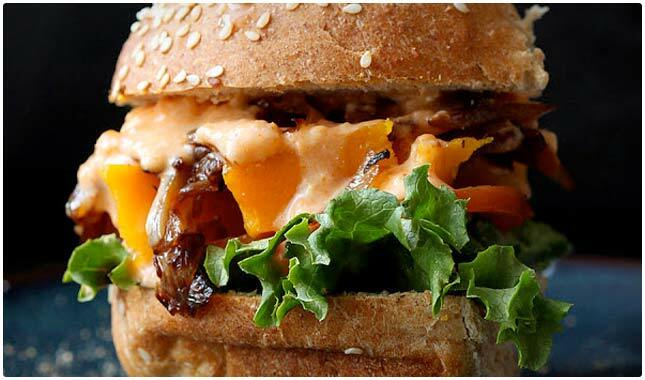 Roasted Butternut Squash Slider – One way to turn a burger healthy is to get rid of the meat entirely. That’s the strategy here, with squash filling in for the beef patty. The goal now shifts to making it taste so good you don’t miss the meat. How do they do it? The caramelized onions on it add massive flavor, while the sriracha mayo adds some spice. Serve it on a gluten free bun and it’s gluten free. 29. Kale Gruyere Beef Burgers – As long as you’re using a lean ground beef, such as ground sirloin, the benefits of the kale will outweigh the fat added from the gruyere cheese. The monounsaturated fat from the avocado topping is also a health boost. Use low-sodium soy sauce, and make more than 4 patties from one pound of beef to make small portion sizes. Place on whole wheat bun for a solid two-fisted meal. 30. Low Carb Burger – She says you can use either lean ground beef or chicken. Consider going with chicken on this one if you’re going to be making quarter pound burgers. The addition of the egg on top can be skipped for those looking to eat fewer eggs or fewer egg yolks. Overall, with the carbs absent and with all the vegetables it has mixed in, this is a burger that breaks the “bad-for-you” burger stereotype. 31. Black Bean & Quinoa Veggie Burgers – If you have yet to cook with quinoa, this burger will show what it’s capable of. It’s so versatile it mixes with the black beans to form a burger patty. You might not even miss the meat because it’s so hearty and fills you up, while also adding protein to your diet. The supporting cast of a chipotle, corn, cilantro, and cumin means this will be bursting with flavor and texture. Indian might be something you only have once in awhile, but it’s possible to incorporate healthy versions of it into your weekly menu at home. The spices used are different than those used in America and really wake up the palate. 32. Dairy-Free Chicken Tikka Masala – Chicken Tikka Masala is one of the more common menu items at most Indian restaurants. Here’s a way to bring it into your home, in a healthier version but with all of the taste. The cream is usually the culprit in this dish, and making it dairy-free means you’ll nix that problem. Coconut milk is the replacement here, giving it that creamy consistency without padding your waistline so you can enjoy it guilt-free. 33. Dairy-Free Butter Chicken – Butter chicken is one of the more popular Indian dishes, and as the name might suggest can be a bit fattening due to the butter. Here is a dairy-free (read butter-free) recipe that will supply the flavor without the fat. They’re even using light coconut milk to keep the calories down. Olive oil stands in for the butter, and provides its many health benefits and good fats. Nice butter chicken without the use of butter. 34. Baked Tandoori Chicken – Here’s a curry recipe that uses shows you how to make tandoori chicken without the need of a special roasting oven. The spices used are made into a marinade that the chicken soaks in for hours. This will give it plenty of flavor, as well as a nice tandoori hue once they’re cooked. Try this with a side of mattar paneer, which consists of peas and Indian cheese.for a spicy sweet delight. 35. Broccoli Potato Curry – This is a curry for those that want to try an Indian-style dish, but don’t want to venture out of their comfort zone as far as ingredients go. Each piece is easily identifiable here, and you can easily make this a complete meal with the addition of skinless boneless chicken breast. Vegetarians can simply leave it alone, since the potatoes and broccoli will definitely keep you satisfied. Asian-inspired foods, and Japanese foods in particular, are generally thought of to be healthy because of the longevity numbers of Japanese people. These dishes live up to that conception, giving you healthy Japanese meals with easy instructions. 36. 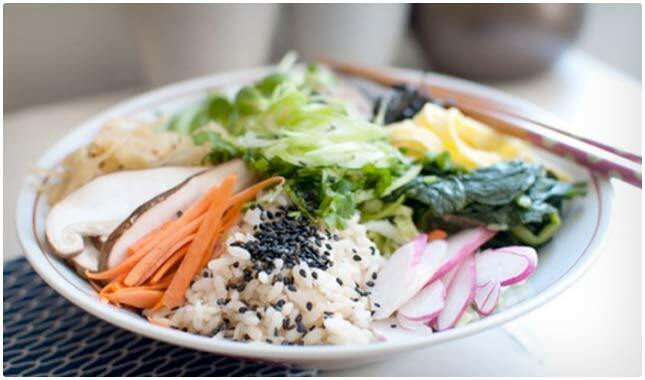 Clean and Light Sushi Bowl – Served on a foundation of greens, the addition of raw, all-natural ingredients keeps this dish light on calories but big on taste. The avocado brings healthy fats to the table, and the salmon and eggs have your protein needs met. Brown rice supplies just enough carbs to make this bowl everything you need for a satisfying dinner. Plus when it’s presented you can see all of the ingredients used before mixing it up. 37. Salmon Sashimi with Blue Cheese and White Miso Puree – You can’t get much more natural than sashimi, it’s simply raw fish. The salmon has the skin removed, and they’re using light sauces to keep this health conscious. The amount of blue cheese used is scant, so no worries there, but it will still manage to give a strong dose of flavor, while not entirely overpowering the soft taste of the salmon. Edamame and brown rice round this meal out. 38. Orange-Infused Teriyaki Chicken Drumsticks – Teriyaki dishes sometimes get criticized for having too much sugar in their sauces. They’re using reduced sodium soy sauce and brown sugar to keep this on the healthy side while still giving it the amazing color and flavor you come to expect from teriyaki. The orange gives it a sweetness, but also a freshness that you don’t usually get from a teriyaki dish. Well done Tessa! 39. Garlic Grilled Yakiniku Bowl – Yakiniku refers to all meats that are grilled over an open flame. This bowl has some scrumptious grilled beef, and also has plenty of vegetables for flavor and fiber. They even borrowed from Korean cuisine with the use of some kimchi for spiciness, but also for the enzymes it contains that help with digestion. Drop the egg if you’d like, since you’re getting plenty of protein from the beef. Mexican food is an American favorite, and many of the dishes can easily be made healthy with a few substitutions and workarounds. The use of beans, lean meats, and hot peppers means things taste great and help you lose weight. 40. 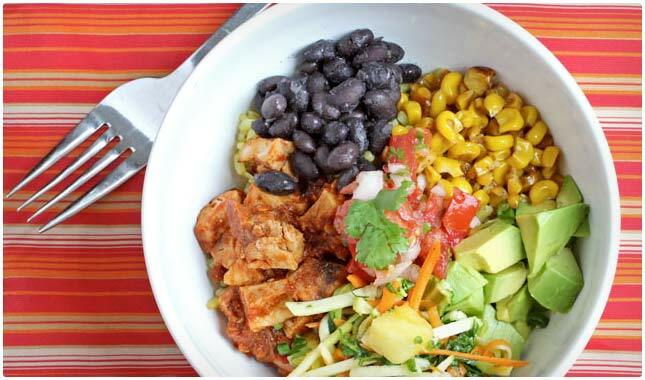 Cha Cha Bowl – The bright mix of colors makes this a great dish to whip up when you have company over, and no one will suspect that you’re passing off healthy food on them. The ingredients are all freshly made, and retain their healthy status by not being cooked. The rice and beans supply some good carbs, the chicken is the protein adder, and there are yummy veggies like zucchini. The healthy fats from the avocados mean you’ll feel full and fight body fat. 41. Chipotle Chicken Enchiladas – They’re using reduced-fat cheese in this recipe to keep the bad fats down, and they have avocados to get your good fats up. 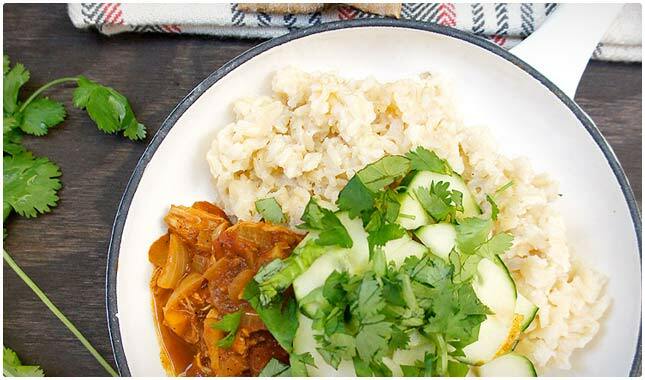 The shredded chicken is a quality protein as long as you’re using the breast, and the enchilada sauce uses natural spices and adobo chipotle peppers so you won’t be short on taste. The end result is an authentic Mexican dish with a healthy spin with all the flavor you’d expect. 42. Portobello and Poblano Fajitas – Here’s a vegetarian twist to a Mexican favorite. Most restaurants give you the standard option of steak or chicken, with some having shrimp as a choice. You usually won’t find portabello mushrooms on the menu, and that’s what they’re using here. The poblano peppers and feta cheese will make it so you don’t miss the meat and this can be a tasty menu item you return to again and again. 43. Hash Brown & Quinoa Casserole – Casseroles are great because there’s not a lot of babysitting involved, and it’s usually pretty forgiving if you mess up a step in the preparing process. This recipe has you using potatoes and quinoa for heartiness, and it has vegan chorizo in it so you’re cutting down on the fat by not using traditional pork sausage. Cheese and sour cream is used, but not enough to cause health concerns. Avocado works nicely and adds good fat to the equation. Pizza is nice because it usually includes everything you need in a meal in one place, with no sides necessary. These healthy pizzas will leave you feeling satisfied that you didn’t call up the local pizza place for delivery. 44. Everything from Scratch Pizza – Ever wonder what it would be like to make everything from scratch that goes on a pizza? Well, wonder no more. Even the dough you make by your own two hands. The sauce is your own concoction too, so this is a pizza that can be a conversation starter when you have guests over, or you can simply bask in your own glory and eat it knowing you made it from nothing. Fun! 45. Buffalo Chicken Cauliflower Pizza – Buffalo chicken is a great addition to a pizza because buffalo wings go great with pizza when you’re looking for a game time feast. With the addition of cauliflower you’re introducing a superfood that will give you extra vitamins and nutrients as well as fiber. Clocking in at just 5 Weight Watchers points this is a pizza that you don’t have to feel bad about indulging in. 46. Whole Wheat Pizza with Hummus & Greens – This is a versatile pizza recipe that you can change around depending on who you’re trying to please. If you’re looking for a fast and healthy recipe for the kids, use traditional ingredients like cheese and regular sauce. But if you’re looking for something a bit more ritzy, use the suggested hummus for a new twist on an old classic. Either way it’s still going to be healthy and a hit with your household. 47. 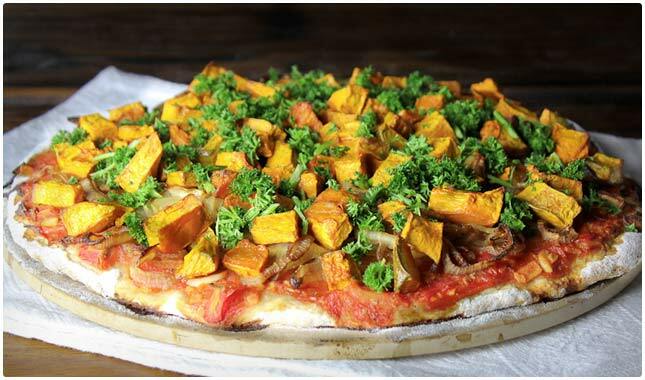 Tempeh Pizza Chips – Tempeh is used as the crust for these pizza chips, which is good for those looking to cut out bread from their diet. The rest of the ingredients are vegetarian, but not vegan since it’s using cheese, and not dairy-free for the same reason. The result is a crispy pizza that does feel like a chip, and satisfies the craving for pizza you might be having if you’ve decided not to eat it anymore. 49. Sweet Chili Chicken Pizza – She raves about this pizza, and it’s not hard to see why. The use of sweet red chili sauce is going to bring mondo amounts of flavor, and it has everything you’d come to expect in a good pizza, as well as a few surprises. It sneaks in some cashew nuts for a flavor boost and a new texture you don’t typically see on a pizza. Light cheese shows she’s health conscious and looking out for your waistline. Pork is not typically thought of has a healthy food, but if you select the right cuts and prepare it the right way you’re left with a good portion of protein without a lot of fat and cholesterol. 50. 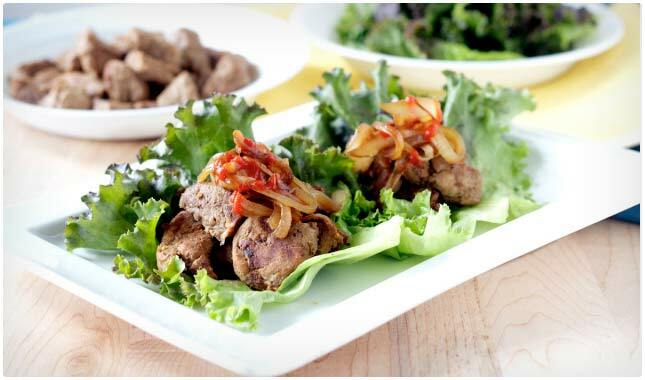 Soybean Paste Marinated Pork Lettuce Wrap – Don’t think that this is a salad just because it has lettuce. The wraps just serve as a way to get the yummy marinated pork into your mouth. She recommends marinating the meat as long as possible, and for the pictures she marinated that pork overnight. You’re getting a vegetable and a protein as shown, so be sure to add a side of brown rice to make it more complete and filling. 51. Dijon and Honey Pork Chops– Dijon mustard gives these pork chops a good taste, and also makes the recipe super easy. Be sure to serve this up with a healthy side of steamed vegetables, as well as a smart carb like a baked sweet potato, or a side of brown rice. That way you’re getting everything you need for a complete meal, and the pork takes center stage. 52. Honey Pecan Pork Chops – We like dinner recipes with nuts in the title, and this is a surefire way to enjoy a pork chop without feeling like you’re giving up on your diet. Pecans are a healthy nut, and the serving suggestion of sweet potato fries is a great idea. All you’d need to do is steam up some broccoli or other veggie and you’d have a meal that you can easily whip up any night of the week. 53. Pork Loin Roast with Caramelized Apple – Paleo dieters will especially love this recipe, but anyone can benefit from the creation. It’s calling for free range pork, but you can also use organic pork. It’s using caramelized apples, and is served on a bed of spinach so it’s an all around well thought out meal. Sub out the sour cream with Greek yogurt if you want to make this even healthier. 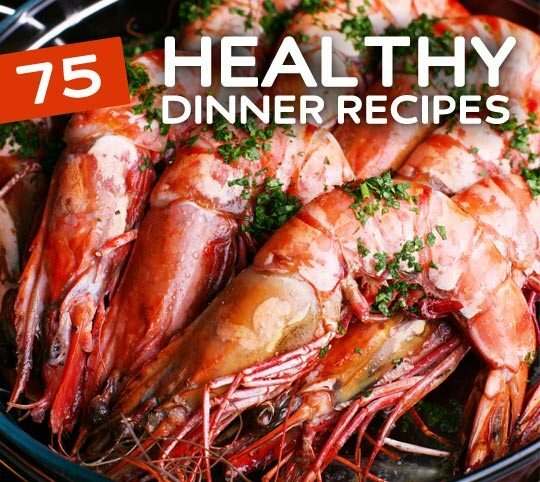 Seafood is often used when you’re looking to lose weight because it packs a protein punch, and doesn’t contain a lot of calories if you cook it right. Here are some seafood dishes to add to your weekly repertoire. 54. 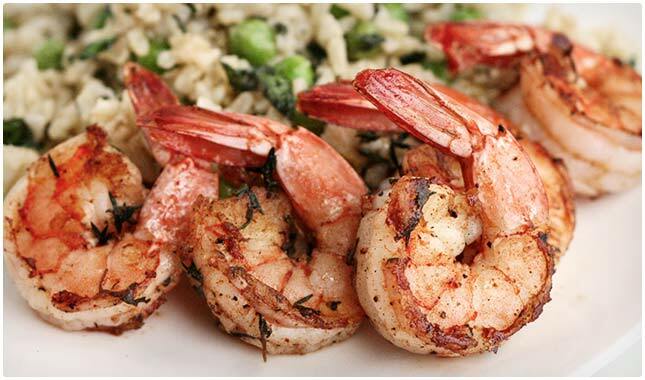 Sweet & Smoky BBQ Rubbed Shrimp – These scrumptious shrimp provide two flavors that combine well, sweet and smoky. Sweet shrimp taste good. Smoky shrimp taste good. Put the two together and you’re all set. Take them up on their serving suggestion of a side of rice and peas and you’ve got a complete meal full of flavor that you’ll return to any time you need some seafood in your life. 55. Paprika Lime Shrimp Stir-Fry – Here’s a colorful dish bursting with flavor. It gets served on top of brown rice so you’re getting a protein, carb, and lots of vegetables. The paprika goes really well with shrimp, and there’s zucchini and squash that give your palate some different textures and tastes. This is a dish that is great on a night when you don’t want to spend a lot of time in the kitchen, since it’s using pre-cooked shrimp. 56. Crab Fried Quinoa with Spicy Peanut Sauce – The fried in the title refers to stir-frying, and not deep frying. With the combination of quinoa and crab meat you’re getting plenty of quality protein. They used imitation crab meat, which is just white fish. With the sauce and all of the other spices and flavors you won’t notice it’s fake. But crab purists may still want to opt for the real thing. The spiciness of the peanut sauce really makes this dish stand out. 57. A Healthier Gluten-Free Crawfish and Crab Gumbo – Gluten-free followers will love this one, as there isn’t any wheat used in this at all. If you didn’t know how to make a healthy gumbo, now you can. You’re getting plenty of protein from both the crawfish and the crab. It uses rice flour to help thicken the gumbo, and is packed with tasty and healthy vegetables. It goes on top of steamed brown rice, completing the meal and keeping it gluten-free. 58. Crab & Brie Cups – These cups are so cute, and you don’t have to feel bad about eating more than one. Each one has a little brie and a little crab, packed into a pastry. It’s Thai meets French here, but somehow it works. The one thing it needs is more vegetables, so be sure to serve these up with a side of veggies. Green beans with slivered almonds on top would go well with it. Skillet meals are great to add to your weekly menu, especially on nights when you don’t have a lot of time or patience, or feel like cleaning up several pots and pans. One pan is all you need for these healthy dinner recipes. 59. 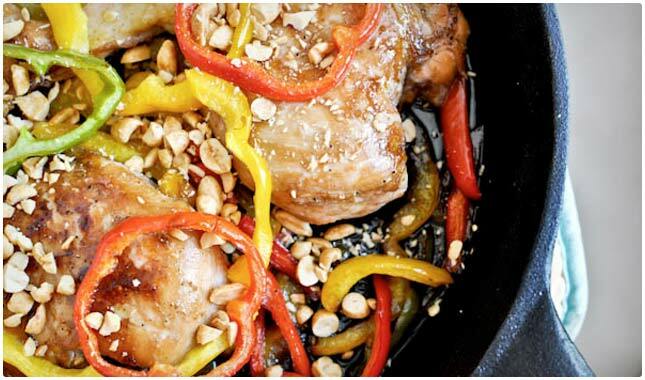 Skillet Chicken with Peppers and Peanuts – The use of three different colors of bell peppers makes this dish a feast for the eyes as well as the mouth. Serving this on top of brown rice is a great idea, and it comes together nicely for those looking to have a protein, carb, and vegetable for dinner. Plus, the peanuts will give it some good fat, as well as some great flavor. 60. Lazy Unstuffed Cabbage Skillet – Feeling lazy? Here’s a dish that will allow you to spend more time with your loved ones, and less time fussing around in the kitchen. But not to worry, there you’re still getting a full meal here, especially when you serve it with a side of rice. It’s very flexible because it allows you to use your choice of meat, and it will come out great no matter which way you go. What else would you expect from a lazy recipe? 61. Spicy Skillet Red Snapper with Tomatoes, Olives & Garlic – Many at-home cooks shy away from cooking fish because they’re lost on how to properly prepare it. Here’s a way to make a delicious snapper meal, all with just one pan. The spiciness works well with this fish, and the use of tomatoes and olives works to balance it out. A nice side of bowtie pasta would serve to round this out and make it a balanced meal. 62. Sweet Potatoes and Brussel Sprouts Skillet Hash – Here’s a vegetarian dinner that won’t have you wondering where the meat is. The sweet potatoes add some bulk to the meal, and if you’re not a fan of Brussels sprouts this might make you a convert. The peppers and mushrooms go really well with the other ingredients, and you might find yourself making this more often than you originally thought you would. Thai cuisine is generally healthy and gets strong flavors from items like lemongrass, basil, and curry. You don’t have to travel to east Asia in order to bring these tastes into your home. Here are some easy and healthy dinner recipes to try. 63. 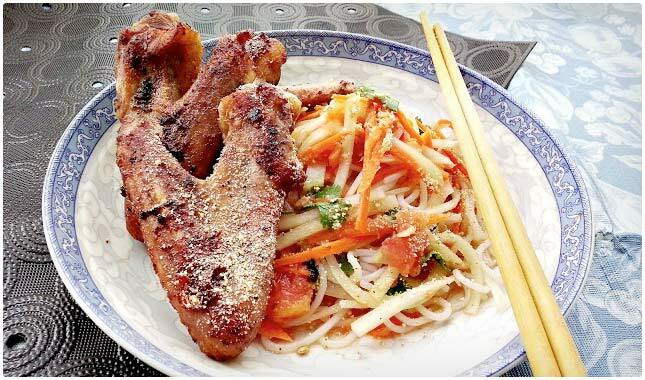 Thai Style Duck and Green Papaya Salad – Here’s a way to learn how to cook duck, and to do it Thai style. Duck is often considered a fattier fowl, but this recipe has you using the breast, so it’s a leaner cut. The amazing color comes from the fish sauce used, and they service this up on a bed of noodles. You’ll feel like you’ve taken a trip to Asia with this menu item. 64. Thai Basil Chicken – Chicken Kra Prao is the official name of this dish, and it’s simple enough to make. The ingredients include chicken and basil of course, and there is also garlic and lime juice, brown sugar and peppers. Swap out the white rice with brown rice and you’re well on your way to a tasty and healthy dish you can serve weekly if you want. 65. Thai Turkey Meatballs with Blueberry Sauce – Not sure if they’re big on the blueberry sauce in Thailand, but it definitely works in this recipe. The red curry paste is what gives this dish its Thai attributes, and there is also fresh ginger used. The blueberry sauce provides a nice juxtaposition to the curry, and this ends up being a meal that you won’t soon forget. A side of rice or Thai noodles helps make this a complete dish. 66. Thai Peanut Noodles with Chicken – This uses soba noodles, which are made from buckwheat. They use reduced fat peanut butter, but that’s not necessary in order to keep it healthy. Opt instead for organic peanut butter, you’ll leave out any additional oils and be left with the healthy fat of the peanuts. They’re also using Splenda, an artificial sweetener, but you should opt for stevia, an all-natural sweetener without the calories. Veganism takes vegetarianism one step further and requires not only not using any meat, but not using any products that are derived from animals, such as dairy products, eggs, and even items like honey. These meals are generally extra healthy and can still be very satisfying. 67. Bow Tie Pasta Primavera – Bow tie pasta just makes a meal more fun and better looking on the plate. They are using the multi-colored pasta which means that some noodles will be made with spinach, and others tomatoes. The real key here is the ensemble cast of ingredients like bell peppers, broccoli, and olives that provide a new taste in each bite. The avocado pesto that goes on top is genius. 68. Eggplant Fry – Eggplant makes up the bulk of this recipe, but there are also plenty of flavorful ingredients to make it palate-pleasing. One of which is the dry red chillies that act to spice things up a bit. You won’t actually be frying the eggplant, more like stir-frying. It also has coconut in it, which is somewhat of a surprise that it works well with the other ingredients. Served with rice this is a hearty meal. 69. 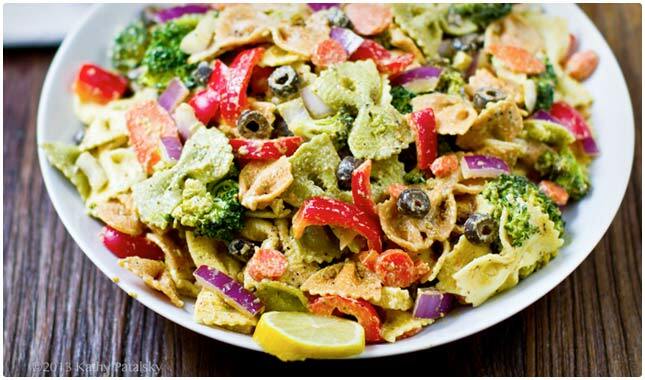 Mixed Vegetable Masala Pasta – Usually a plate full of mixed veggies won’t be enough to satisfy you for the long term. Using pasta helps you feel full, but you have to be sure to add enough seasoning to make the pasta taste good as well. They succeed with this recipe with a good helping of spices like red chili powder and coriander, and fresh green chilies. You’ll be full from this for several hours, and it’s good for you as well. 70. Raw Taco Salad – Raw usually means fast because you won’t need to spend time cooking up the ingredients. Here is a way to make a healthy and fresh taco salad that won’t leave you regretting your decision. This uses walnut taco meat in lieu of regular taco meat, keeping it vegan but making it so meat-eaters could enjoy it. The cashew sour cream is a great idea, and makes it so you’re not using any animal products. Here are several healthy menu options for you that leave out the meat, but still bring plenty of flavor and texture to your plate. Here are recipes that convert old classics and also a few that bring something new to the table. 71. Mushroom Stroganoff – We don’t need no beef! Mushrooms take the place, as they usually do in vegetarian cooking, and if you opt for portabello you’re getting the heartiness of beef without killing a cow and without all of the drawbacks to eating beef. Stroganoff is typically served over egg noodles, but this mixes things up and has it adorning a bed of rice. 72. Spinach & Artichoke Stuffed Portabella Mushrooms – Everyone’s favorite appetizer shows up here on top of a portabello mushroom. This is a feast for the eyes as well as the taste buds. In addition to the portabello mushrooms, which have their own health benefits, this also contains a good amount of spinach, a bona fide superfood. Consider going with Greek yogurt instead of the sour cream, but all of the other ingredients pass the healthy test. 73. Chipotle Bean Burrito – This isn’t anything like the bean burritos you’ll get from your local fast food place. This looks like a restaurant style burrito that will definitely hit the spot when you want some Mexican food. The beans give you fiber and some good carbs, and they use whole wheat tortilla wraps. They even manage to sneak some spinach into this, boosting its nutrient value and making this a burrito to be reckoned with. 74. Vegetarian Chili – Chili s a family favorite in many households, but if you are trying to add more vegetarian dishes to your line-up, or going all out, you probably thought you’d be stuck making boring veggie chili. Not the case with this dish, which has you using flavor packed ingredients like corn, beans, and garlic. You won’t really notice that the beef is missing, if you’re a meat eater, and if you add the avocado to the top as suggested you’re getting healthy fat included. 75. Crustless Quinoa Quiche – This is an amazing looking quiche that can be eaten at any meal, and will definitely leave you feeling full. The nice thing is if you have leftovers it works as a breakfast dish as well. It uses spinach, an amazing superfood, as well as Greek yogurt for added protein and less fat. It does use 6 eggs between 4 servings, but that’s to be expected from a quiche. It’s a complete meal with a side of toasted bread. See more healthy vegetarian recipes. With a virtual army of delicious and healthy dinners, you’re now ready to cook for a few months without repeating yourself. The nice part is that you can use a lot of the same ingredients between these recipes. Also, it’s important to note that these recipes contain many of the foods found on our whopping list of superfoods. Enjoy exploring the different flavor combinations detailed above and lose weight at the same time! Superb..ummmm can you tell me how does some one differentiate between lunch and dinner recipes???? 😉 No boring ideas please..